I have the crimp n curl 1!! Are these a knock off my little pony or are they a completely separate set? I don't believe they are considered fakies because they are made by a major toy company - Hasbro, in fact. They are just horses made to the scale of some of the smaller sized CPK dolls that were out around that time, I think. I'm not too crazy about the way they look. I'm not crazy about CPK dolls either (I think it's the eyes). 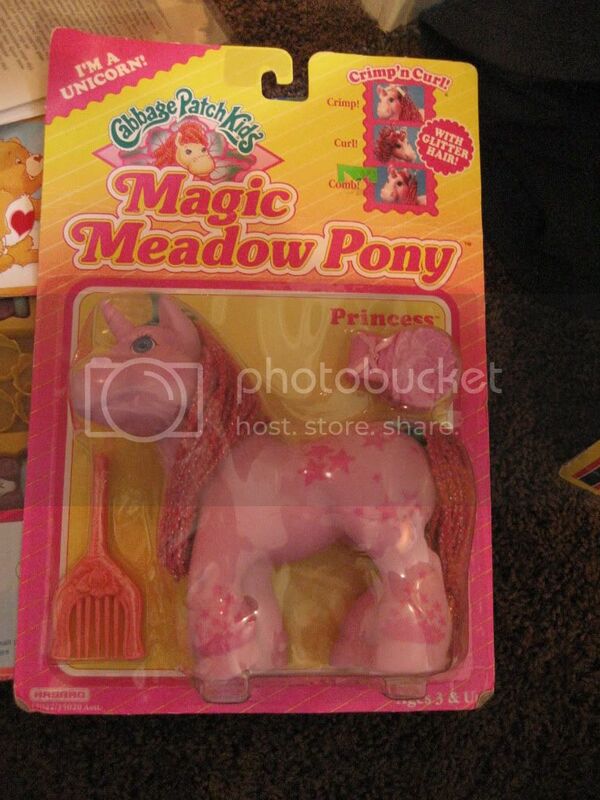 But just like there are knock-offs of Hasbro MLP there are also knock-offs of CPK ponies. People call them MLP fakies but they are really fakies of these if that makes sense? And usually extra ugly ones at that!